Today I bring you the review for the last four of the Shimmer Polishes I was sent. 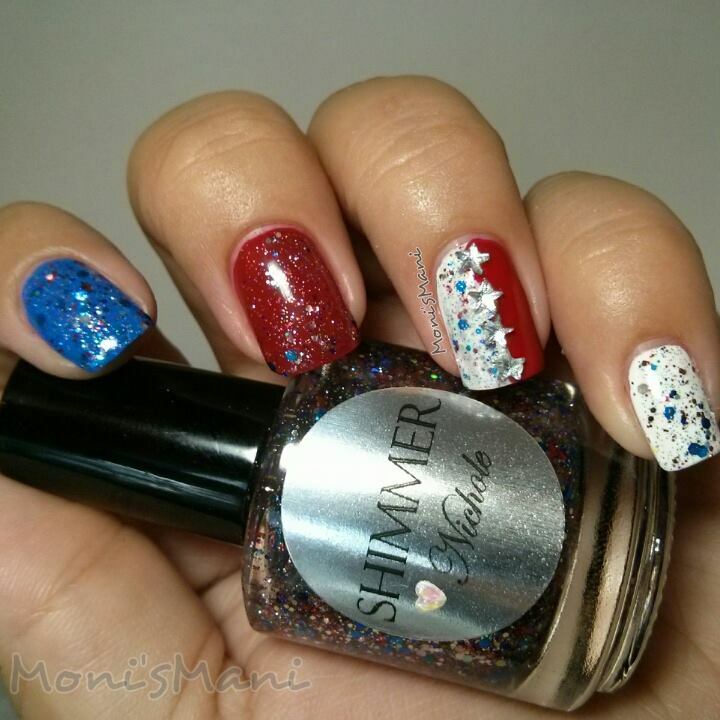 As you might already know I am a big fan of these toppers and feel like Shimmer Polish has taken glitter to a whole new level, no glitter is the same and they all have a unique mix of colors. They are very very lovely and work both as a topper and you can achieve full nail opacity with three sometimes only two coats. All and all a perfect investment for the glitter lover. 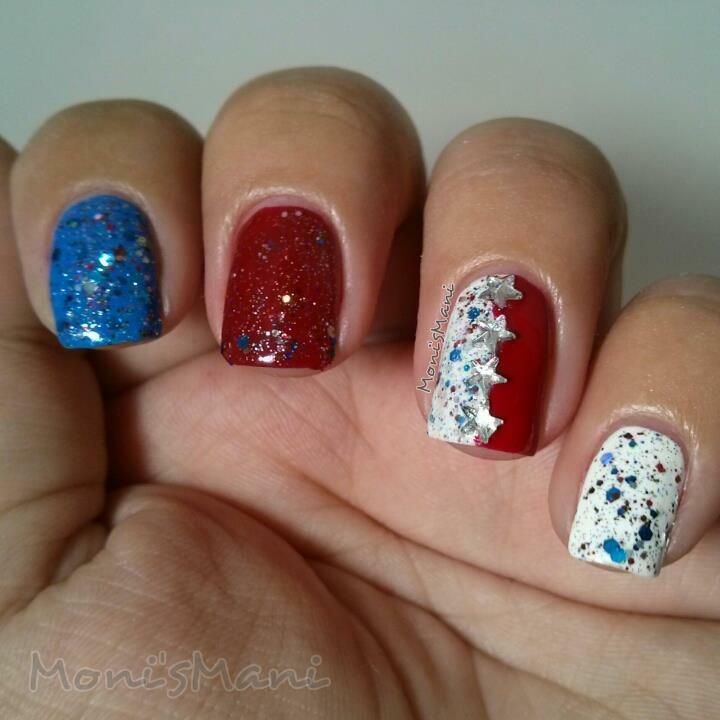 *Nichole- is a very pretty and patriotic gal, this topper consists of red, silver, and blue glitter it was the perfect star of two of my 4th of July manis. The glitter as always were varied in sizes, nothing crazy, I love how she always makes the perfect marriage between glitter shapes and colors. The first mani you see is Nichole over Sinful’s Endless Blue and Snow, as well as Essie’s Twin sweater set, the accent nail is decorated with MoYou London stars. 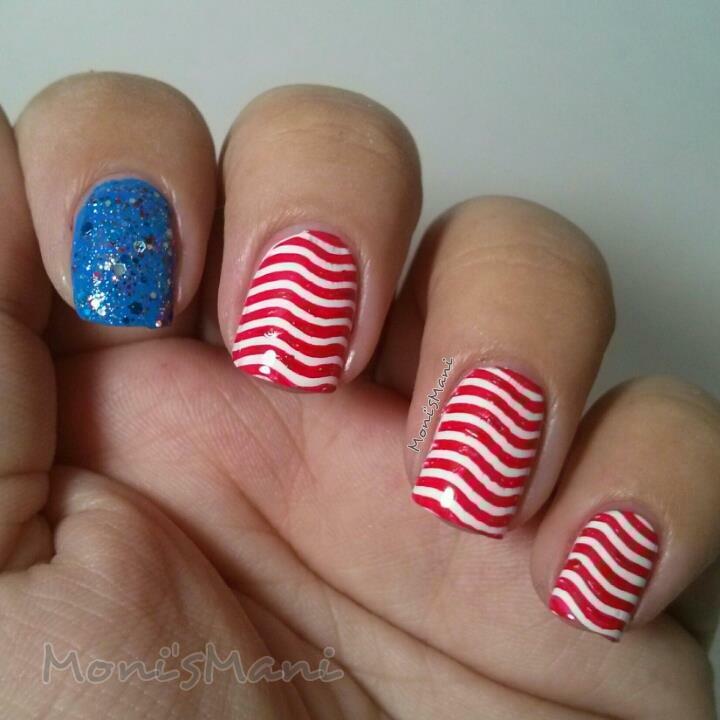 The second mani is Nichole over Sinful’s Endless Blue for the stars and the white and red stars were done using MoYou London Sailor plate, the wave pattern. 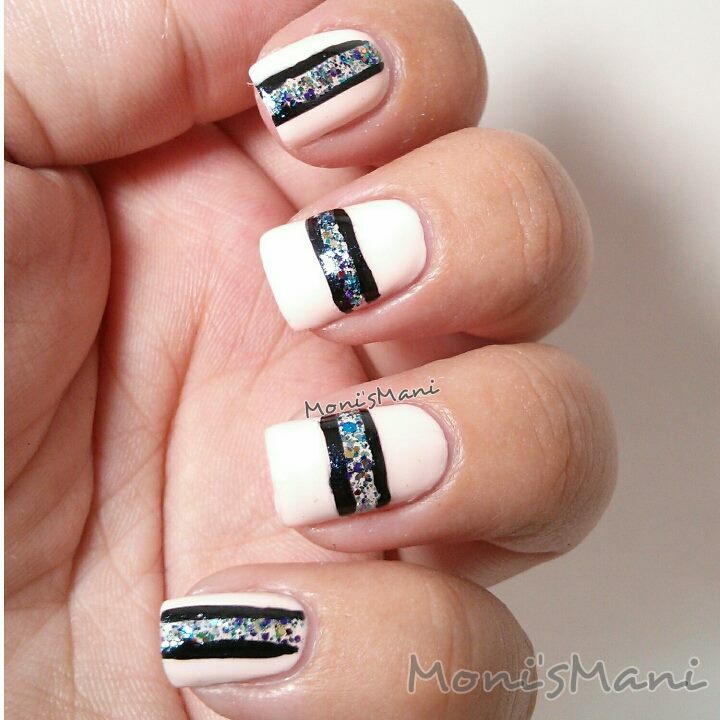 I really loved this mani it was even featured in Nailpolis. *Leslie– this beautiful topper looks purple at first glance but it is in fact made of silver, baby blue, grey lavender, periwinkle toned glitter. Very lovely and feminine which is why it inspired me to do something simple and girly; here you see one coat over Revlon’s Charming. *Jenny– this topper has a medley of silver, sea foam green, nail lacquer, cyan, blue glitter, gold; it is QUITE pretty and funky, so much so that it completely convinced me to step out of my comfort zone and do a little more daring and funky mani using Sinful’s Easy Going as base. *Jennifer– this topper has pink, nail polish, blue, Periwinkle, sky blue glitters, mine also had black although I know not all batches do. It is a shame because the touch of the black glitter is really pretty and makes it very elegant, I paired it with Sally Hansen’s Night Wacth and had to do a very minimal dotticure to enhance the accent.. it really didn’t need more. This is beautiful! I really hope you like the manis, I was very new to this brand although I had seen it in million places and it absolutely did not disappoint! she definitely takes Glitter polish to a whole new level and does so with elegance. 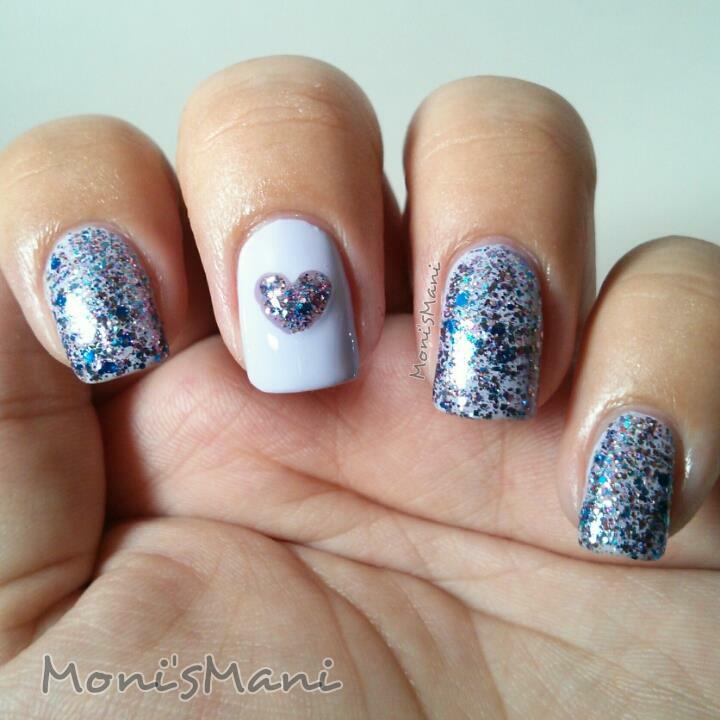 The application is easy, no need to move around glitter or glitter placement. They are not terrible to take off with the right acetone or soaking method.. (glitter is glitter). Definitely worth the purchase. 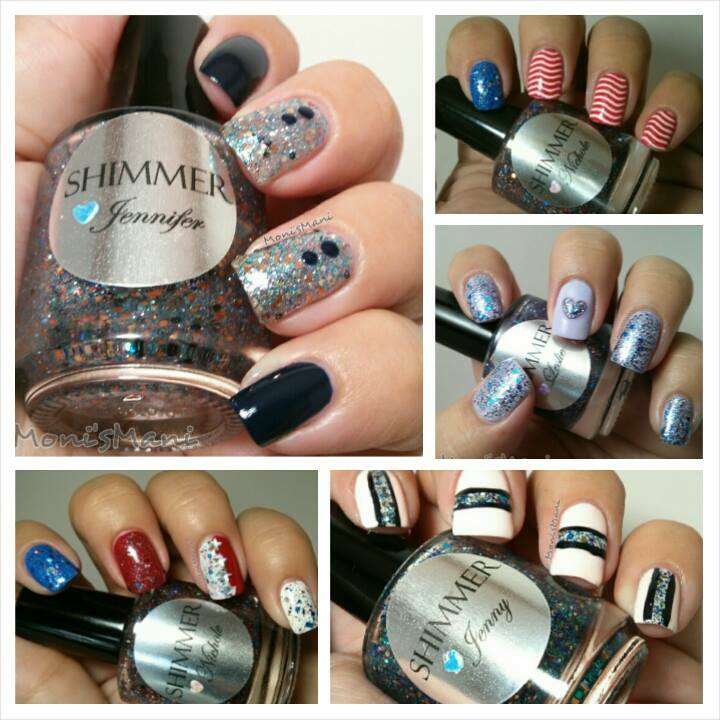 I want to thank Shimmer Polish for sending me these pretties. I have taken entirely too long to finish this review but it has gotten more and more difficult to sit down and write with the summer and the two week set back because my son was sick. I sincerely apologize for the delay! Thank you for reading friends!!!! 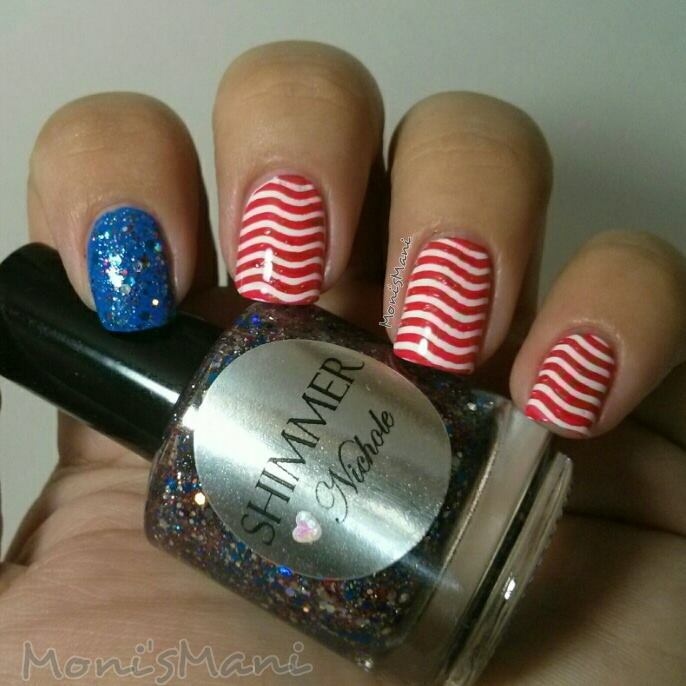 and get your hands on Shimmer Polish if you’re a glitter lover like me! !